Rev. Dr. Ronald R. Feuerhahn, emeritus professor at Concordia Seminary, St. Louis, peacefully was called to rest with Christ on Friday, March 13, 2015. He will be laid to rest, in the sure and certain hope of the resurrection of the body, following a funeral service at the Chapel of St. Timothy and St. Titus on the campus of Concordia Seminary Tuesday, March 17, at 2:30 p.m. Ordained members of The Lutheran Church—Missouri Synod (LCMS) are invited to process in the service with purple stoles. Visitation is Monday, March 16, from 5-7 p.m. at Ambruster Chapel, 6633 Clayton Road, Clayton, Missouri, and Tuesday, March 17, at 1:30 p.m. at the seminary’s chapel. 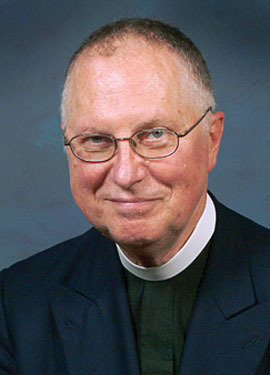 Feuerhahn retired in May 2008 after 22 years of distinguished service as professor of historical theology and seminary archivist at Concordia Seminary, St. Louis. With his retirement, an illustrious career of international service to Lutheran church bodies on several continents came to a close. A 1963 graduate of Concordia Seminary, Feuerhahn was ordained at Trinity Lutheran Church, Cape Girardeau, Missouri. He served both the Evangelical Lutheran Church of England (ELCE) and the LCMS extensively. From 1963 to 1967, he served as a missionary in England and Wales. He also served as pastor at St. David’s Lutheran Church, Cardiff, Wales, from 1964 to 1970, and at Resurrection Lutheran Church, Cambridge, England, from 1970 to 1977. From 1977 to 1986, he was preceptor at Westfield House, the seminary of the ELCE, in Cambridge, England. Feuerhahn joined the Concordia Seminary faculty in 1986. He also became Seminary archivist in 1999. Over the course of his ministry, Feuerhahn served on numerous committees and boards, including the LCMS Commission for Doctrinal Review, the LCMS Commission on Worship, and, while in Britain, the ELCE Board for Overseas Missions, the ELCE Lutheran Free Conference of Great Britain, and the ELCE Executive Council. He earned a bachelor’s degree in history at Concordia Senior College, Fort Wayne, Indiana, in 1959, a Master of Divinity at Concordia Seminary, St. Louis, in 1963, a Master of Philosophy at Cambridge University of England in 1980, and a Doctor of Philosophy from the same institution in 1992. His theological and academic work focused in the area of modern church history, the 20th century ecumenical movement, and in particular the theology and work of Hermann Sasse. He published numerous articles on Sasse and edited several collections of Sasse’s essays. He also produced the definitive bibliography of Sasse’s writings. A Festschrift was published in his honor in 2002: Lord Jesus Christ, Will You Not Stay. The faculty, students, and staff of Concordia Seminary, St. Louis have been blessed by the continuation of Feuerhahn’s strong influence on campus since his retirement. He will be missed. Memorial contributions may be made to the Concordia Seminary Rev. Dr. Ronald Feuerhahn Student Aid Endowment Fund or the American Parkinson Disease Association, St. Louis Chapter – Patient Services. 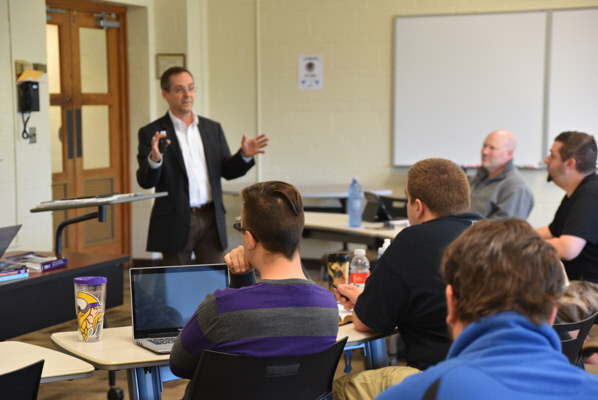 Concordia Seminary provides Gospel-centered graduate-level theological education for pastors, missionaries, deaconesses, scholars, and other leaders in the name of The Lutheran Church—Missouri Synod (LCMS). 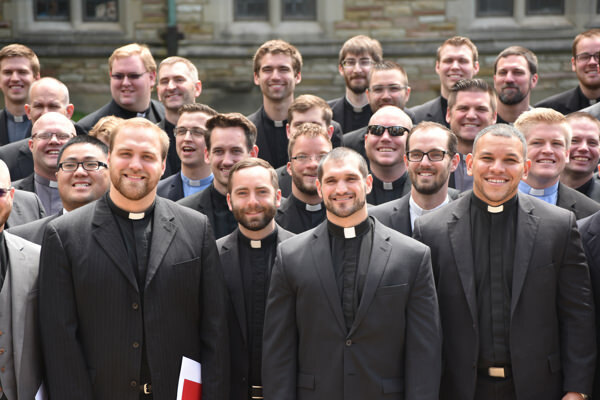 Since its founding in 1839, Concordia Seminary has equipped more than 12,000 graduates to serve Church and world. Today, a world-renowned faculty teaches more than 600 students in the classroom, off-campus, and online. Learn more at www.csl.edu.